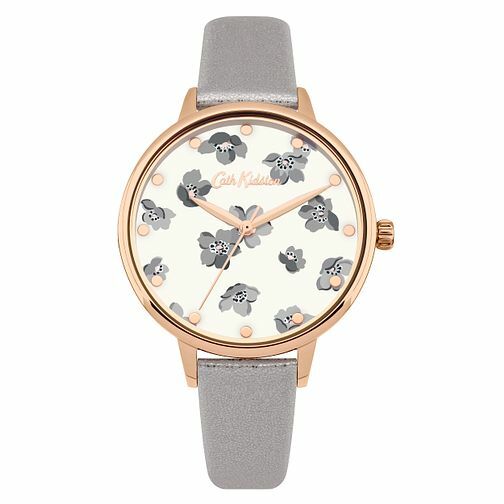 Dainty and delightful, this Grove Ditsy Cath Kidston ladies' watch presents a pretty grey floral pattern upon a pure white dial. A light gold tone case co-ordinates with the three hands and classic Cath Kidston logo in the top half of the watch face. A chic grey leather strap ensures this ditsy timepiece will stand the test of time and style. This watch is water resistant up to 30 metres.